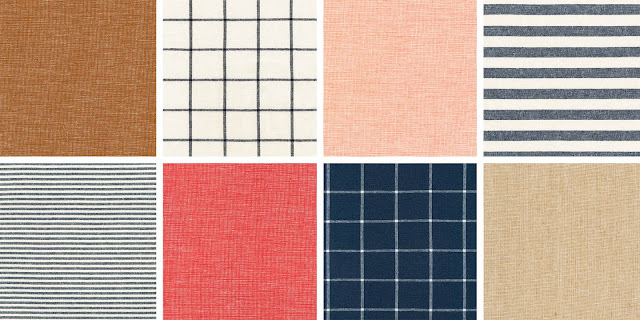 About a month or so I was asked by Robert Kaufman to design a quilt for their new Essex Yarn Dyed Homespun fabrics. I was so elated to see they included stripes, check and solids. Maritime Quilt 60" x 72"
This is quilt pattern will be available as a free downloadable pattern on Robert Kaufman's site. I really enjoyed working with the new Essex Yarn Dyed Homespun. They are so soft and have so much texture, I'll definitely be using them again especially that micro stripe. I also couldn't believe my luck when I saw the color palette and it included one of my all time favorite colors, Nantucket red. The collection also includes stripes and checks in black, grey and two more blues. The blues are also available as solids. One of the biggest challenges with this design was matching all those pieced stripes. Thankfully by the time I'd finished piecing the top I'd come up with a cutting and numbering technique to include in the pattern. 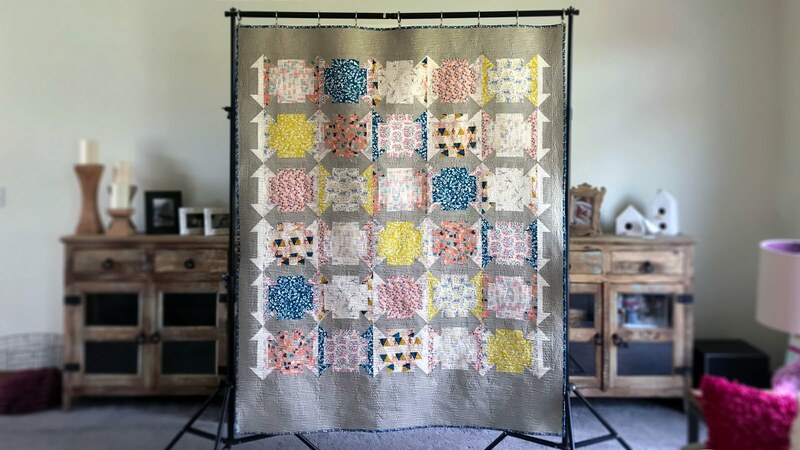 I'm so happy I finally get to share this quilt because it is also the first quilt that I completed on my Gammill Statler Stitcher. 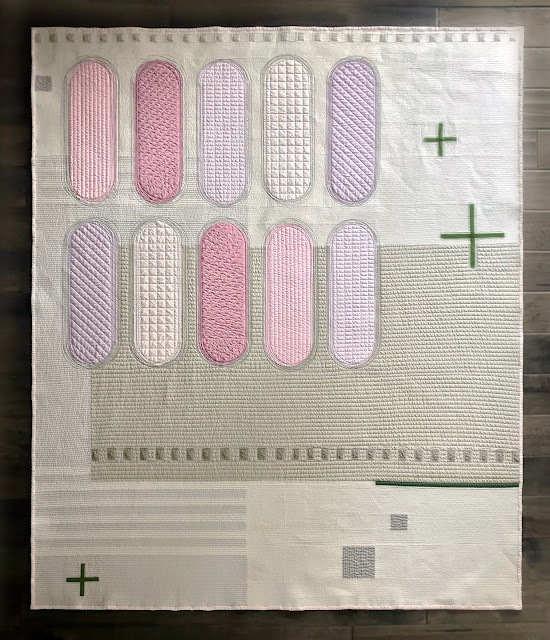 I had a few hiccups along the way, big thank you to Wanda at Heartbeat Quilting for helping me out in a crunch. I've now decided to press my seams open especially with linen, the seams on this quilt got pretty bulky all pressed to one side. I was told that I most people start with an all over design but I jumped right in making boundaries and designing quilting motifs. 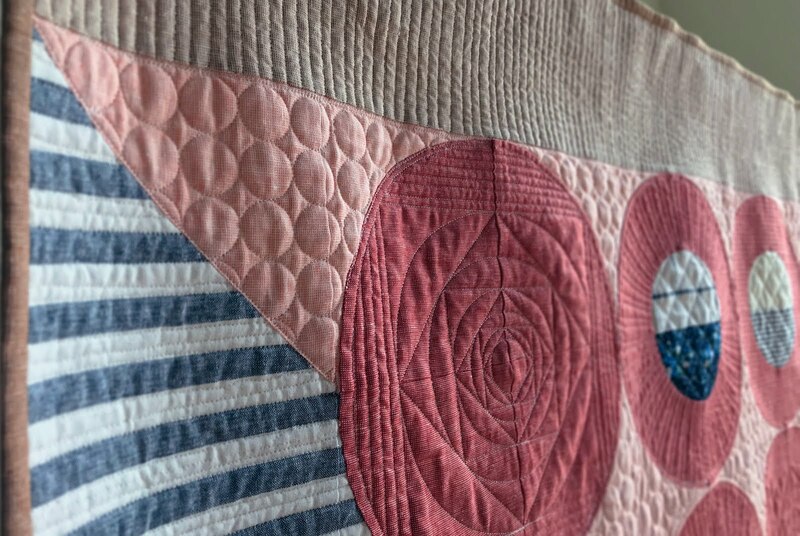 I free hand quilted some of the straight lines and used the channel lock for others but you've got to love all those 1" circles! Sorry walking foot you just cant do that. 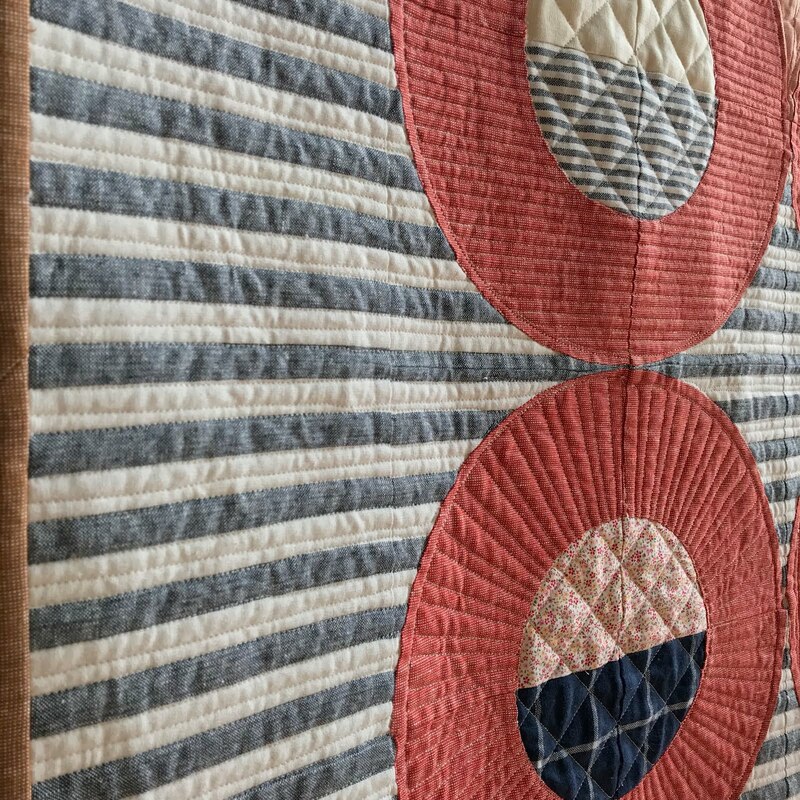 Another fantastic thing about working with the homespun fabrics they ended up hiding many of my quilting mishaps. 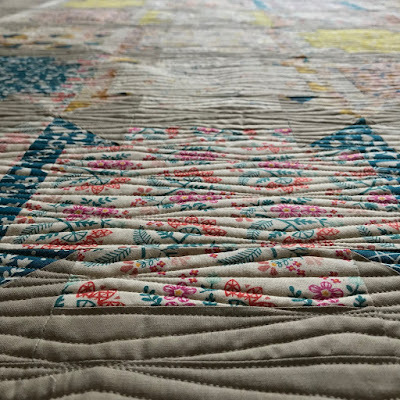 I used a cream thread for the entire quilt and it blended so beautifully with all the colors. 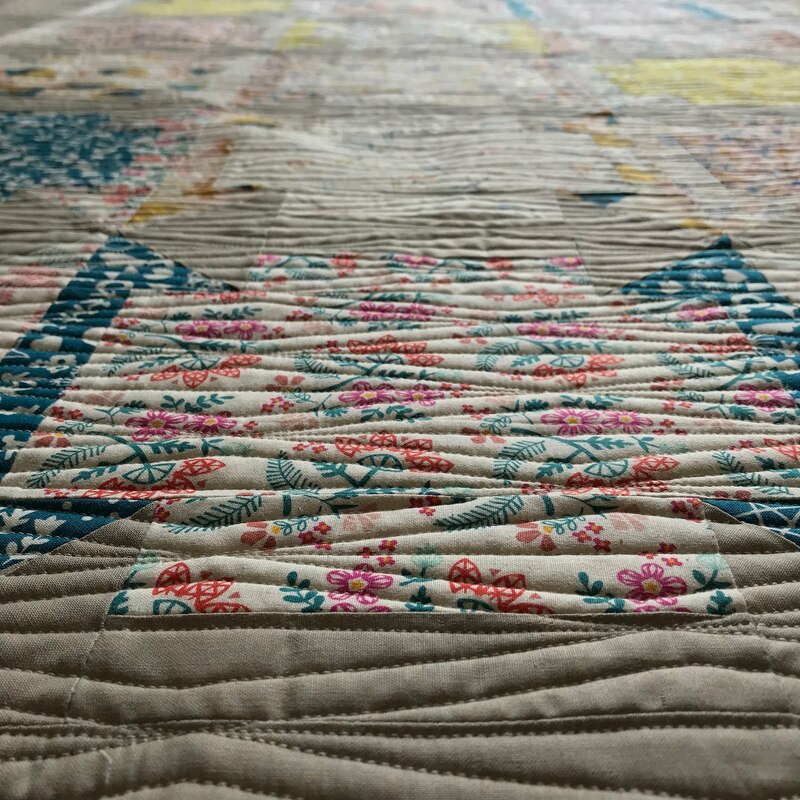 The second quilt I completed on my Gammill was a tan print version of my Positive Illuminations quilt. 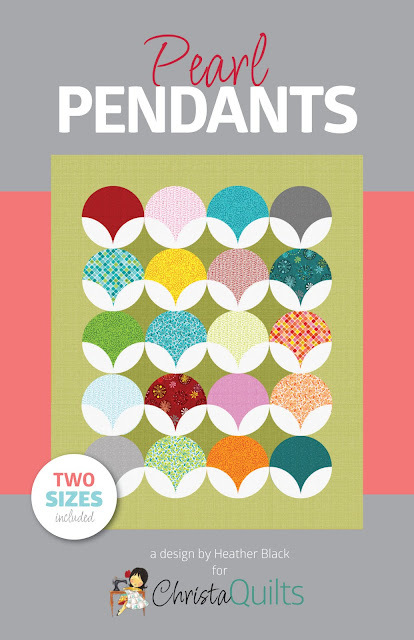 This time I designed an elongated diamond pattern to be applied as an all over motif. This time I had a few less problems, still some seam bulk because I hadn't decided to press open when this top was made, and I even got to step away while the Gammill quilted which gave me a chance to start piecing my next quilt, YAY!! 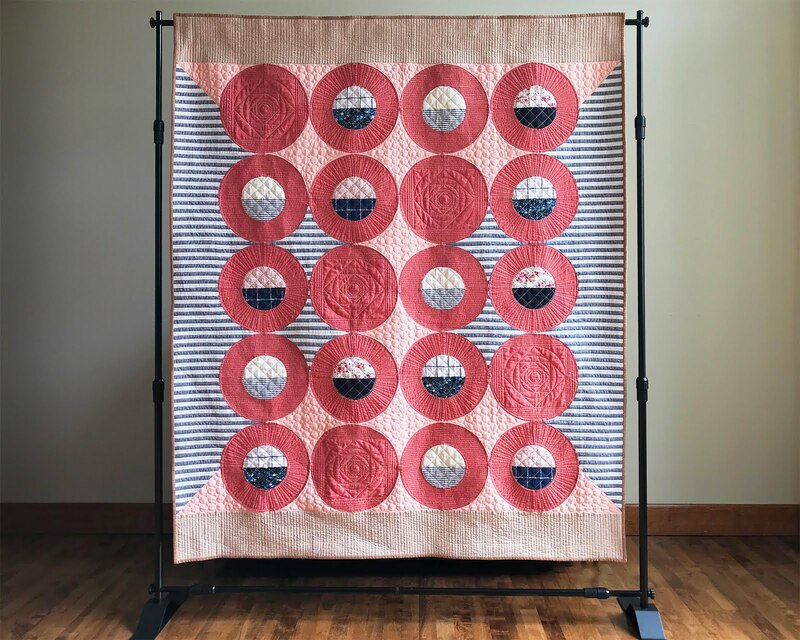 I made this quilt for an auction at my daughter's school. They have a backyard fun package and I said I'd donate a quilt. I kept the background color "dirt" friendly and used prints from Cotton and Steel's Paper Cuts fabric line. This is the third version of this quilt that I've made. 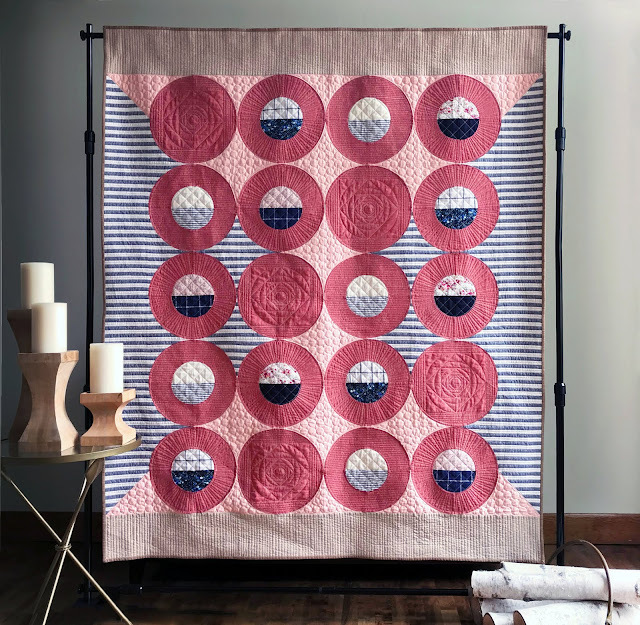 The top comes together very quickly and it is available for free to all Modern Quilt Guild members. I'm really enjoying my Gammill and have a couple very exciting projects coming up but right now I'm thankful I finally get to share one of them. 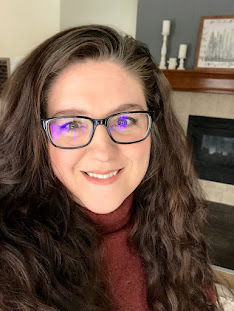 If you're interest in a sneak peek of a very exciting collaboration I'm working on check out Christa Watson's April 6th blog post, wink wink.